Can you believe the 2014 season is over? After 16 weeks of excitement and turmoil, we've got our champions. If you were one of the winners, congratulations on your success. If you were not a winner, good luck next year. 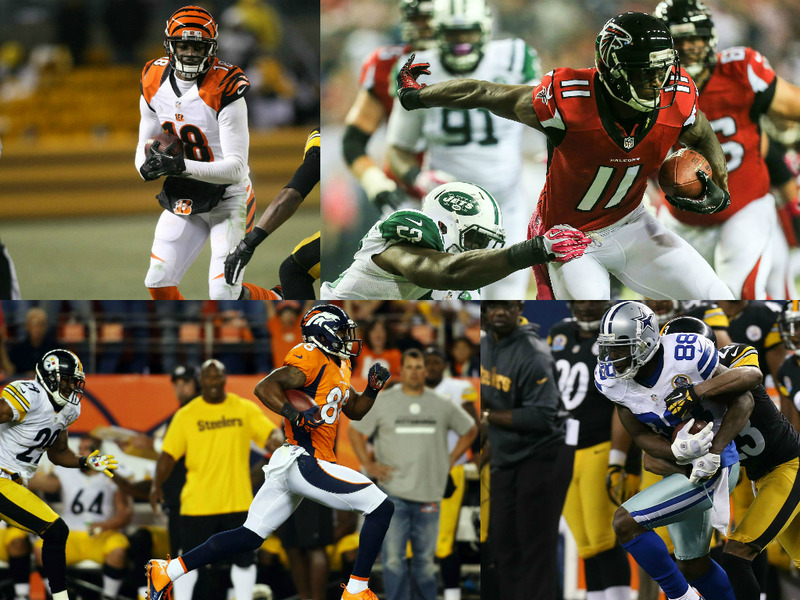 Now, let's analyze the Wide Receivers of 2014, and rank how they did in weeks 14-16. 1) Odell Beckham's final eight weeks of the fantasy year were outstanding, going for 69 recs, 1014 yds, and 8 tds in eight games. You needed very little else from your WRs in 2014, if you owned Beckham. 2) Julian Edelman, Julio Jones, and T.Y. Hilton all played well in the playoff run, but missed a week each due to injury. If you had a solid backup to each of them, you likely had a nice playoff run. 3) Antonio Brown and Alshon Jeffery were solid, consistent studs in 2014, never scoring less than 15.8 points in any of their games. 4) Emmanuel Sanders, Jeremy Maclin, and Kelvin Benjamin all struggled down the stretch. 5) If you were able to get past their week 14 dud, Dez Bryant, Randall Cobb, Mike Wallace, and Demaryius Thomas were all nice playoff options. A) The 2014 rookie class was phenomenal, with Beckham, Watkins, Benjamin, Evans, Landry, Matthews, Cooks, and Brown all looking to be long term contributors. B) Another year of Peyton Manning watch... If he goes, one would have to drop expectations on Demaryius Thomas and Emmanuel Sanders. They could be potential sell high candidates. C) The Vikings young WRs (Jarius Wright and Charles Johnson) were solid surprises this past season and may still be available on waivers in Dynasty formats. D) Keenan Allen, Victor Cruz, and Pierre Garcon could be solid buy low candidates.